Someone of your close people are expecting a new baby? This wonderful occasion can not be unnoticed! And the balloons, as a symbol of the holiday and children's joy, must necessarily be part of this event. This set is designed for a boy, but when changing the colors of the composition it also can be suitable for a girl. 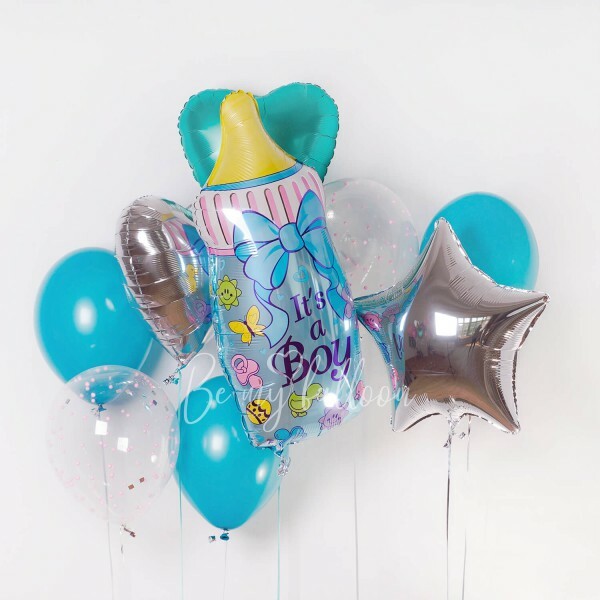 2 balloons with confetti 11"
Foil Balloon "Bottle for a boy" 31"